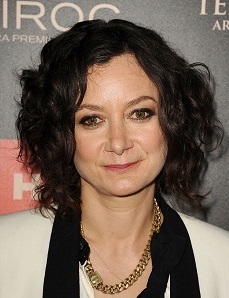 Sara Gilbert first appeared in the 1982 TV movie Calamity Jane, which marked her professional acting debut. 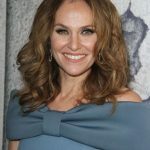 By the end of the decade, she gained mainstream prominence for starring as Darlene Conner-Healy on the ABC sitcom Roseanne. 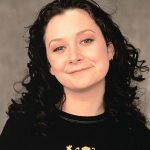 She starred on the show from 1988 to 1997. She simultaneously made her cinematic debut in 1992’s Poison Ivy, playing the role of Sylvie Cooper. She also portrayed Sudie Harrigan in the made-for-television film Sudie and Simpson. After Roseanne, she had roles in the films Desert Blue and Light It Up. 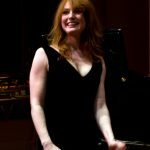 In the 2000s, she had performances in the movies The Big Tease, High Fidelity, Boys Life 3, and Riding in Cars with Boys. She then starred as Amy Manning on the short-lived series Welcome to New York. Also, she had recurring roles as Paula Schaeffer on 24 and Dr. Jane Figler on ER. From 2005-2006, she starred as Mitchee Arnold on Twins. She went on to play recurring character Leslie Winkle on The Big Bang Theory. Since 2010, she’s been co-hosting the TV program The Talk. She continued her acting work, starring as Irene Dudek on the CBS sitcom Bad Teacher. 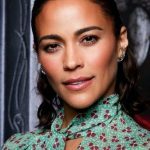 More recently, she starred as Cheryl on Living Biblically and currently stars as Darlene Conner on The Conners. Apart from her clean diet plan, the actress and host takes care of her body through an active lifestyle. Despite her crazy schedule, she makes the time for the sake of her workout routine. In fact, she’s made it a goal to exercise at least 15 minutes every day, no excuses. “I decided 15 minutes a day would be a manageable goal. I found it was easiest to squeeze in a daily walk or jog, though one day I was able to do an hour of yoga,” said Gilbert. Of course, her physical efforts always pay off. “My mood overall was better, and I always like feeling fit. When I’m exercising, I feel happier and more positive. I also had more energy,” she added.